The Charlottesville, Va., police chief who received widespread criticism over his department’s handling of this summer’s white nationalist rally that left a counterprotester dead announced Monday that he will be retiring, effective immediately. According to local news station WVIR NBC 29, a report this month called Thomas’ response to the escalating violence at the rally “slow-footed.” The violence led to the death of Heather Heyer when a car plowed into a group of counterprotesters after the rally. The report also alleged that Thomas had deleted text messages and made officers fearful that they would face retaliation if they spoke to investigators looking into the incident. 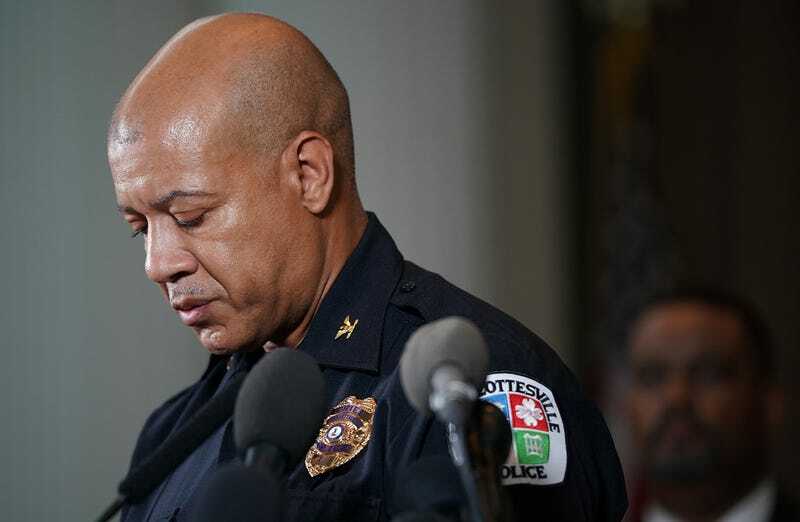 Thomas’ attorney said that the chief denies allegations that he deleted text messages. The city will begin the search for a new chief immediately. In the interim, Deputy Chief Gary Pleasants will lead the department. That announcement will be made formally within the next week. Read more at WVIR NBC 29.